When two Jane Does are killed on the outskirts of Atlanta, Georgia, detective and behavioral specialist Avery North discovers they share something in common–a tattoo of a magnolia on their shoulders. Suspecting a serial killer, Avery joins forces with medical examiner Jackson Bryant to solve the crimes and prevent another murder. But it doesn’t take long for them to realize that there is much more to the case than meets the eye. As they venture deep into a sinister world of human trafficking, Avery and Jackson are taken to the very edge of their abilities–and their hearts.Dangerous Passage exposes a fully-realized and frightening world where every layer peeled back reveals more challenges ahead. Romantic suspense fans will be hooked from the start by Lisa Harris’s first installment of the new Southern Crimes series. Narelle: I really enjoyed reading Dangerous Passage and I was drawn into the story from the opening chapter. Avery is tryng to relax by having a pedicure, and you just know something big is about to go wrong to disrupt her idyllic day off. Avery is a fascinating and multi-dimensional character who has survived a lot of hardship and loss. She is a devoted single mother to her young daughter, Tess, and she juggles the responsibilities of motherhood, extended family dramas and a demanding job. Avery and Jackson have started dating at the beginning of the book. A realistic and tender romance develops between Avery and Jackson, who each have their own issues and fears to face in the story. I liked how we see Jackson’s caring and protective side emerge as Avery encounters dangerous situations. The suspense plot is exciting and gritty, with lots of twists and turns that kept me guessing until the end. The book doesn’t shy away from dealing with the unspeakable horrors associated with human trafficking. There is also an intruiguing series mystery element in the story that carries over into the next book. 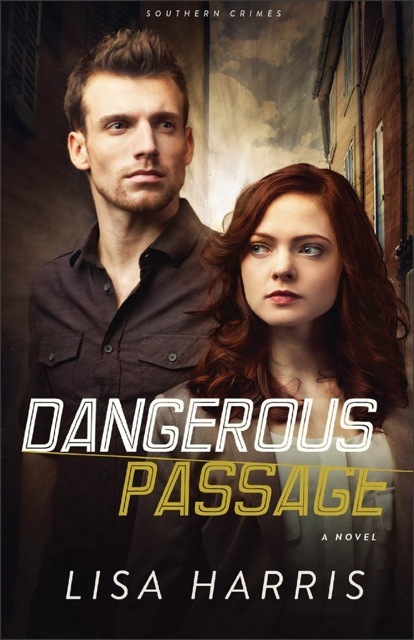 I highly recommend Dangerous Passage to those looking for an exciting and fast paced romantic suspense story. I received a complimentary copy of the book from the author.